Earlier this fall John J. 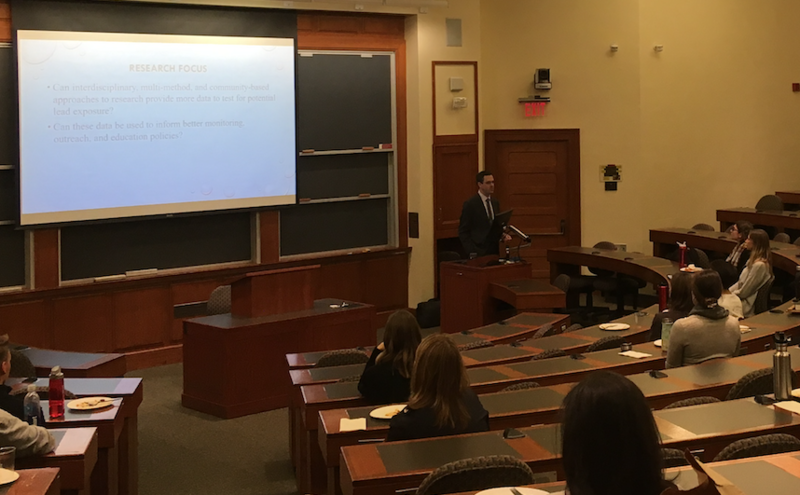 Green attended the annual Harvard Delta Celebration, where he presented the Mississippi Delta Lunch Talk, Community Based Interdisciplinary Research to Inform Policy: The Case of Lead and Drinking Water in the Delta. This was part of the 10th Annual Mississippi Delta Celebration, a yearly celebration of the work that students and faculty from schools around Harvard University are doing to improve economic, health, and social conditions in the Mississippi Delta. In this talk he discussed The Lead and Drinking Water Project, an interdisciplinary and community based research project based in the Delta. Collaborators from the fields of toxicology, law, and sociology are working with community organizations to collect and analyze water samples as well as social and housing data to inform more socially and environmentally just policies.